Health-Safety.ie provides expert Health and Safety Training and Consultancy services to organisations both in Dublin and around Ireland. We also offer other services including e-learning / online health and safety training courses. We offer a vast range of health and safety consultancy services including. Our Safety Statement and Risk Assessment service is particularly popular. We complete almost daily Safety Statements and Risk Assessments. Whilst most of these are in Dublin, we do also complete ones further afield throughout Ireland. The reason why this service is so popular is because these are a legal requirement for all employers in Ireland irrespective of size. We conduct a substantial amount of work in the corporate sector but also have vast experience in manufacturing, warehousing and wider heavy industry. A Safety Statement and Risk Assessment should be reviewed at least annually or more frequently should a Health and Safety Authority Inspector say so or if any changes occur etc. A Safety Statement and Risk Assessment is a legal requirement under Sections 19 and 20 of the Safety, Health and Welfare at Work Act 2005. Our VDU / DSE Assessment service is also very popular and again this is due to the fact that all habitual computer users must have their own VDU / DSE Assessment undertaken for every workstation. These assessments should be reviewed at the most every 2 years or more frequently should a change our with the person or the workstation. VDU / DSE Assessments are a legal requirement under the General Application Regulations 2007. 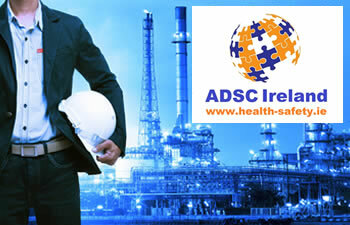 A Pregnant Employee Risk Assessment is another common service undertaken by ADSC. Pregnant Employee Risk Assessments are a legal requirement for every pregnant employee. The specific risk assessment pertaining to pregnancy and which looks at safeguarding both mother and unborn child assess whether it is safe and appropriate for the pregnant employee to remain at work for the duration of pregnancy and in some cases breastfeeding dependant on the working environment. Where it is safe to remain, some additional controls are normally implemented. Where not and no appropriate alternative health and safety leave must then be considered. Our Health and Safety Audit service is a useful tool for organisations who wish to gain a snapshot of health and safety compliance. The Health and Safety Audit will provide feedback, both positive and negative where appropriate in terms of compliance and where necessary will outline corrective actions to be taken to become compliant with health and safety legislation. We offer a vast range of health and safety training courses including. Our range of online health and safety / compliance training courses include. If we can assist you with any health and safety queries, please feel free to get in touch and we will be delighted to assist. To help us get back to you quickly and efficiently the following information will help us process your query. Name of health and safety training course you are interested in. Number of participants for the health and safety training course. Location of your premises for the health and safety training course (if you would like on your premises / we can offer on some courses on our premises in Baldoyle, Dublin 13, so please also state this if this is your preference. Name of health and safety consultancy service you are interested in.